We have a yogurt problem at our house. 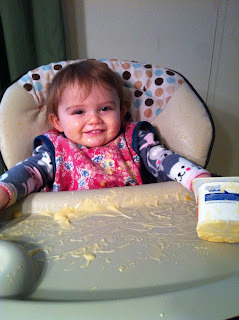 Ever since Molly demanded to begin self-feeding, it is everywhere. As chief laundress, this is adding to my laundry efforts and I'm over it already. 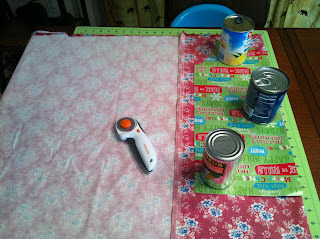 It is time for some new aprons. 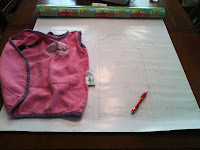 Here I am tracing my favorite store-bought apron onto the back of some left-over Christmas paper. The gridlines on the back were very helpful since I was too lazy to pull out the yard stick. It doesn't get more homemade than a wrapping paper pattern and canned goods for pattern weights, huh? 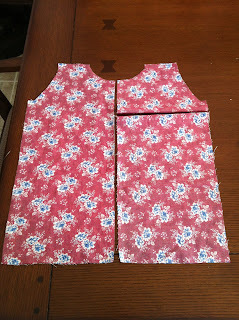 Originally, I had not planned to line these aprons, but the denim that Caroline picked was pretty thin and I wasn't sure it was up to Molly's messes, so instead of 4 aprons, we ended up with two self-lined. 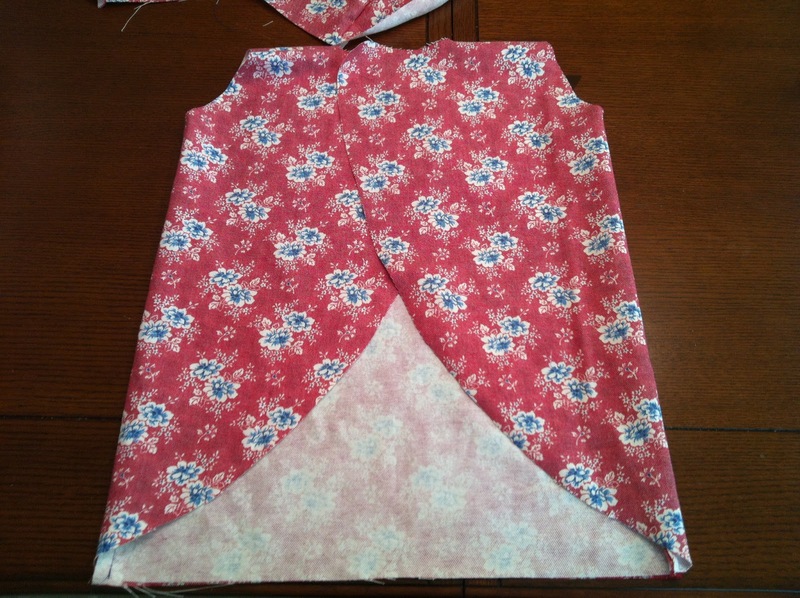 I was not as careful as I should have been when cutting, so the lining of Apron 2 had to be pieced together. Pictures of that later. 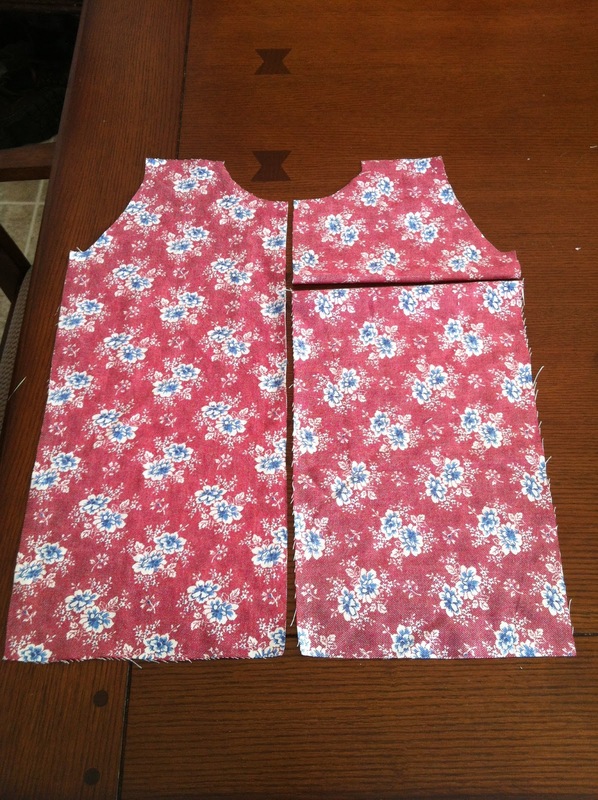 Once I had cut out all of the pieces, I changed my needle to a big #16 denim needle and stitched up side and shoulder seams of the right side and lining fabrics (separately). I considered adding another layer of flannel inside for extra absorbency but decided that two layers of denim should be enough for most of our daily messes. 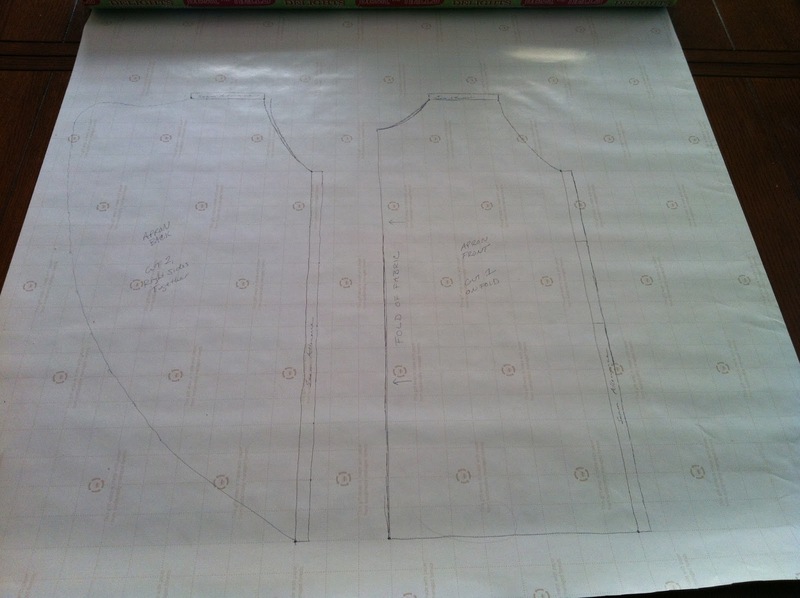 Here is the back view of Apron 1 before lining. 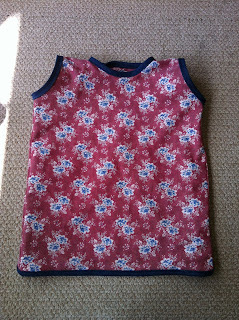 Next I pinned right sides to linings (wrong sides together) and topstitched around edges and armholes. This denim was bad to fray, so I would have had to staystitch even had I not been adding a lining. 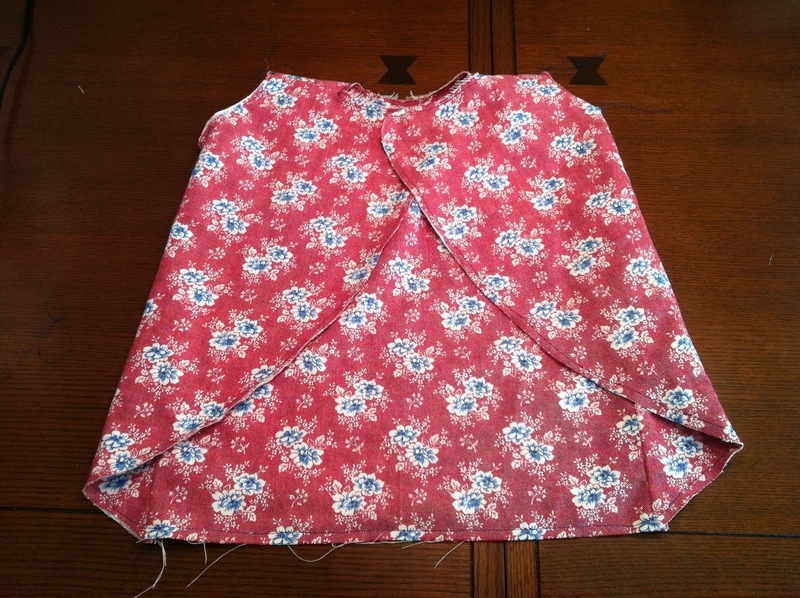 Next I trimmed seam allowances and added bias tape. If you know me, you are probably familiar with my affection for store-bought bias tape. So you can imagine my excitement when I found DENIM bias tape! While I probably didn't need the #16 needle for my lightweight denim (even with two layers), I did need it for this heavy bias tape, especially at the ends. 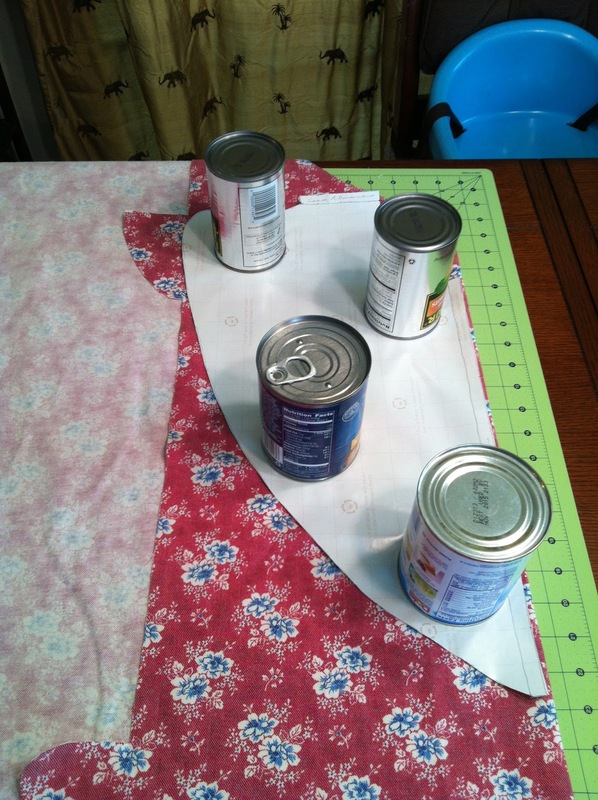 I will also admit that the ends where my bias tape overlaps are plain homely (partly due to being slack and not pinning the bias tape before sewing, partly due to the thickness of the denim bias tape). I frowned about this for a while and then reminded myself that these aprons were being made for the express purpose of being soaked in yogurt and spaghetti sauce, so I got over my ugly finishing and moved on. 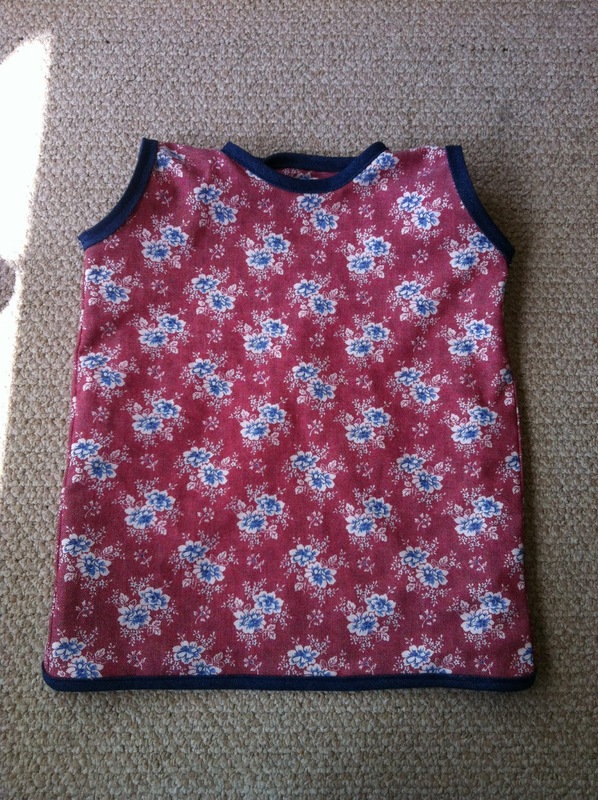 The last step was to add some Velcro at the back. Again, if these were for a fancy project, I may have taken the time to change my threads, but blue was good enough for me this time. 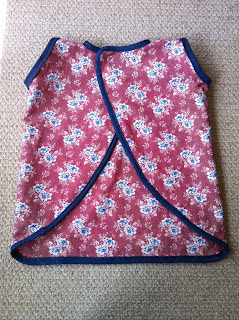 The whole apron took about two hours and two yards of 58" denim yielded two self-lined (or four unlined) aprons. 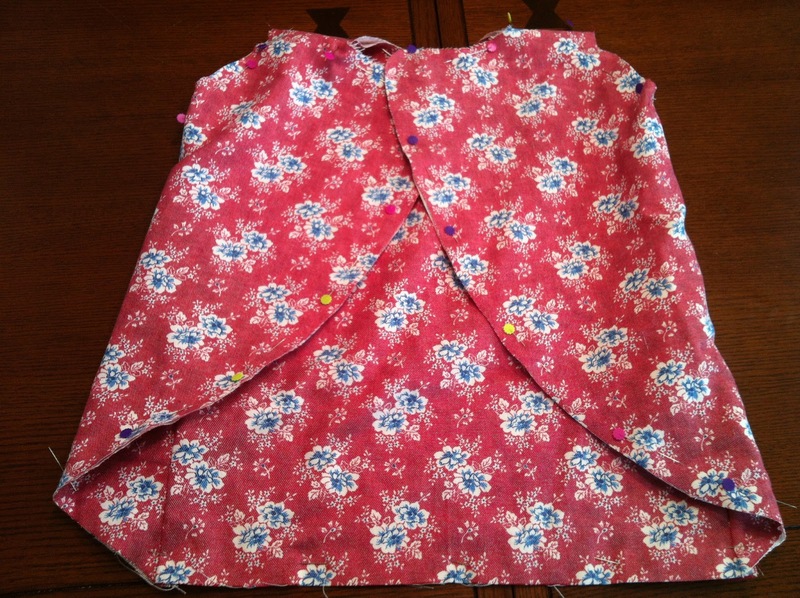 It took just over a whole pack of bias tape per apron. I mentioned that I had to get creative with the lining for Apron 2. 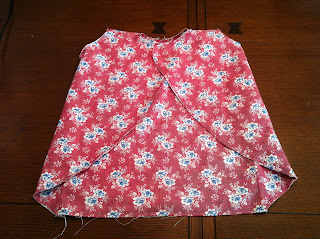 Here's how I pieced together the last of my scraps. 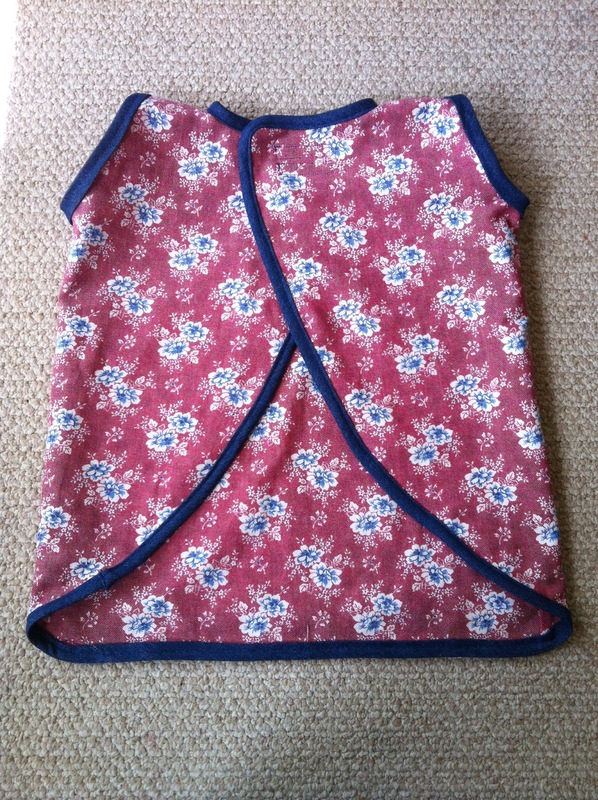 And here is Molly breaking in her new apron :) Mmmmmmm!! !